Results suggested that persistent LLV is likely clinically meaningful and should always be investigated, and not merely attributed to variation in assay characteristics. In people with HIV, persistent low-level viremia (pLLV) may be an independent predictor of virologic failure and needs further investigation, according to a study published in Clinical Infectious Diseases. The management of people with HIV has been revolutionized by antiretroviral therapy (ART), with the goals of ART being immune reconstitution and virologic suppression. Over time, sensitivities of the viral load assays have improved, and thus the definition of virologic failure and virologic thresholds to switch to ART have also varied with time. Further, thresholds for and definitions of virologic for switching to ART vary by both region and on the basis of the organizations issuing recommendations. As a result of these differences, it remains unclear whether pLLV predicts virologic failure; therefore, this study retrospectively examined the association of pLLV and virologic failure, using data from the US Military HIV Natural History Study. 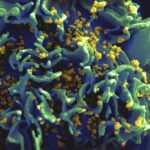 The study was a well-characterized, racially diverse cohort of HIV-infected individuals with limited concomitant illicit drug use and open access to care and medications. Participants (n=2006) in the US Military HIV Natural History Study were included if they initiated combination ART after 1996 and if they had 2 or more viral load measures with a lower limit of detection of £50 copies/mL. Virologic failure was defined as confirmed viral load ³200 copies/mL or any viral load >1000 copies/mL. Included subjects were categorized into 1 of 4 mutually exclusive virologic categories: intermittent LLV (viral load 50-199 copies/mL on <25% of measurements), pLLV (viral load 50-199 copies/mL on ³25% of measurements), high‑level viremia (viral load 200-1000 copies/mL), and continuous suppression (all viral load <50 copies/mL). To evaluate the association between virologic failure and LLV, Cox proportional hazard models were used. The study population was predominantly male (93%), racially diverse (42% Caucasian, 41% African‑American, and 18% Hispanic/Other), and young (median age at HIV diagnosis, 29.2 years; median age, 32.8 years). The median CD4 count and viral load at ART initiation were 372 cells/µL and 4.5 log10 c/mL, and a total of 19% of the included participants experienced virologic failure. The proportion of participants experiencing virologic failure varied by exposure category as follows: 22 participants with intermittent LLV, 52 participants with pLLV, 182 participants with high-level viremia, and 127 participants with continuous suppression. Risk for virologic failure varied by HIV diagnosis era, and was found to be 40% in those diagnosed before 1996, 31% in those diagnosed between 1996 and 2000, and 9% in those diagnosed after 2000. After data was adjusted for viral load, demographics, CD4 counts, ART regimen, prior use of mono or dual antiretrovirals, and time to ART start, results showed that pLLV (adjusted hazard ratio [aHR], 3.46) and high-level viremia (aHR 2.29) were associated with virologic failure. Further, African-American ethnicity (aHR 1.33), antiretroviral use before ART (aHR 1.79), and a higher viral load at ART initiation (aHR, 1.15) were other factors that were also associated with virologic failure. However, nonnucleoside reverse transcriptase inhibitors (aHR, 0.68) or integrase strand transfer inhibitor (aHR, 0.26) use, intermittent LLV (aHR, 0.33), and older age at ART initiation (aHR, 0.71) showed to be protective against virologic failure.